Ancient Branded Journalism | Fsew! Even Elvis had his predecessors. Likewise, branded journalism isn’t a completely new concept. We’re seeing a ton of emerging forms and models of branded journalism, and there are new reasons this kind of content is important and effective, but it’s all built on the shoulders of some pretty amazing predecessors. Two of the best: the Mobil Travel Guide and the Merck Manual. The Mobil Travel Guide was created by Mobil Oil in 1958. It’s purpose wasn’t so much to market Mobil gas in particular — it was to spur driving and, not exactly as an afterthought, gas consumption. 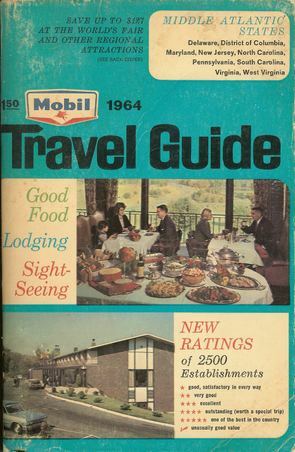 The guides used experts to rate hotels and restaurants — giving birth to the Mobil star ratings still in place today. The Mobil guides were so effective because consumers felt the guides could be trusted. The booklets were impartial and expert-driven. They were a form of journalism — the kind of thing Conde Nast Traveler might do about “best restaurants of California.” While there’s no telling how much Mobil gasoline the guides sold, certainly they made consumers feel good about Mobil. Even older than the Mobil Travel Guide is The Merck Manual, first published by the pharmaceutical giant in 1899. It is an example of business-to-business branded journalism — the manuals were at first a physicians desk reference, available only to doctors. The first edition set out to detail the effect on the human body of every substance used in medicine. Again, The Merck Manual did not hawk Merck products. It was written by experts and reviewed by esteemed scientists and doctors. Instead of feeling like biased marketing material, it felt to physicians like a valuable, impartial resource. 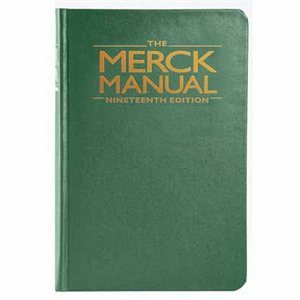 So doctors accepted the Merck Manual and put it on their bookshelves — a constant reminder that Merck was a trustworthy company. Years later, Merck realized that individuals were getting their hands on Merck Manuals to keep at home as a medical reference. So Merck created a less-technical consumer version. By 2000, the 16th edition of the Merck Manual sold 2 million copies and was translated into 16 languages. The Mobil Travel Guide and Merck Manual were so successful and enduring because of one key reason: trust. Both valued trust over salesmanship, and trust won the day.